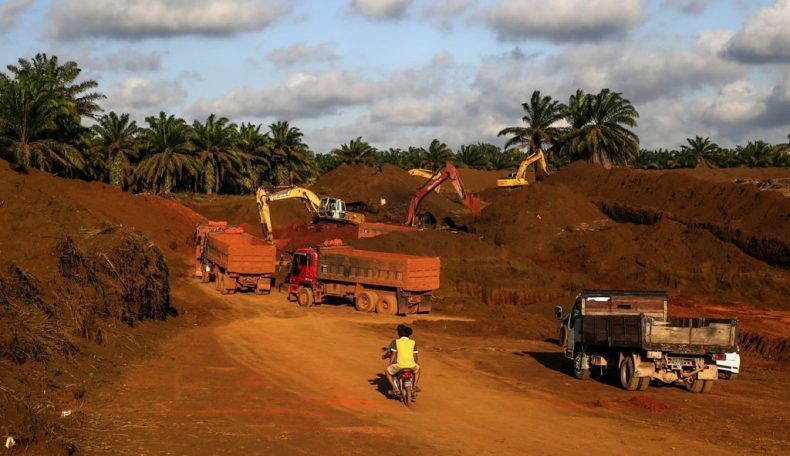 The bauxite mining ban in Pahang could be extended well into 2017 or even 2018. The reason: stockpiles of the aluminum ore have yet to be cleared in Kuantan despite repeated pledges over the past months by local mining operators to ship their stockpiles away before the latest deadline expires on December 31. The government first imposed a three-month moratorium on bauxite mining in mid-January. The ban was then extended twice again until mid-September. Then it was extended yet again until the end of the year once it had become apparent that several tons of bauxite ore remained on site in Kuantan. This past September, 5.4 million tons still remained uncleared at three sites around Kuantan after only 1.27 million tons had been successfully exported. A month later those stockpiles are still there, indicating that the process of clearing them could drag on for several more months. “My stand is very clear. As long as the stockpiles cannot be cleared, the moratorium stays,” Natural Resources and Environment Minister Dr Wan Junaidi Tuanku Jaafar said in an interview. “Based on the [size of the] stockpile and the experience we have [had] since the moratorium was introduced, there is not much movement in reducing the stockpiles. Therefore, the moratorium can go on for another year or two.” For starters, however, it is likely that the moratorium will be extended for another six months at least come December. Wan Junaidi added that the central government “has signalled that as long as the stockpile is not cleared, it is prepared to extend the moratorium” in order to make “Kuantan free from bauxite pollution.” That is a commendable stance since pollution has been very extensive indeed with large swathes of Pahang experiencing severe air, soil and water contamination in the wake of unregulated mining activities in the state. So much so that local rivers and the sea turned a toxic red. Environmentalists have warned that it might take decades for all the pollution to dissipate from Kuantan’s soil and water sources. Last year Malaysia exported 24 million tons of bauxite to China. That roaring trade brought a windfall to the state and its mining operators, but it did so at a terrible cost to the local environment.